The non-profit relief organisation  Interhelp – the German Society for International Aid, founded in Hameln, helps victims of natural catastrophes worldwide. Now Interhelp is getting prominent support from the USA, in the form of Terry Barber, an internationally renowned tenor and countertenor from Fort Lauderdale (Florida), who wants to champion the local helpers  but worldwide. Ive never been prouder than now, now that I can assist Interhelp, writes the star on the internet site specially created by Prince Alexander of Schaumburg-Lippe, patron of Interhelp and member of the board : www.myspace.com/terrybarbersupportsinterhelp. On this homepage you can also listen to six songs by Terry Barber. Part of the profit made on the artists new album is going to Interhelp, because he has made it his aim to fight for kindness in the world with his unique voice. 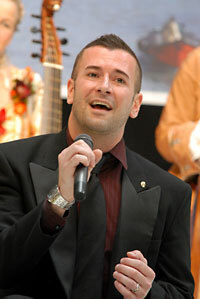 The contact to the tenor was made in December via his manageress Daniela Quennet. The Christmas for Everyone project on the internet, held for the benefit of Children in Need, had caught the ex-Sony employees attention, upon which she spoke to Prince Alexander about it. Interhelp is a great organisation  internationally oriented, quick and professional in implementing aid measures, and respected by very many people, says the German-American. Numerous well-known musicians, including Roger Cicero, Giulia Siegel and David Foster, whos won the Grammy 14 times, are interested in the project and have linked up their websites with Terry Barber supports Interhelp. Terry Barber joined the roster of the Metropolitan Opera 2002 season for the opera, Sly, with Placido Domingo. Mr. Barber made his New York City Opera debut in 2001 in Il Ritorno dUlisse in Patria and has covered Daniel Taylor in the NYC Operas production of Handel’s Rinaldo starring David Daniels. In summer of 2002 he has performed at the International Spoleto Festival both the Spirit and the Witch in Purcell’s Dido and Aeneas. Highlights in 2004 include Mr. Barbers debut performances at Carnegie Hall in the role of Orlovsky in Die Fledermaus with the National Chorale under Martin Josman (New Years Eve 2004); with the London Philharmonic Orchestra in a tour of Europe; and the Portland Baroque Orchestra in Handels Messiah under the direction of Nicholas Kramer. Recent performances with the New Trinity Baroque Orchestra of Pergolesis Stabat Mater with Evellyn Tubb earned him the comment, ’…his grasp of the texts and elegant phrasing made for charismatic singing‘ — The Atlanta Journal-Constitution. 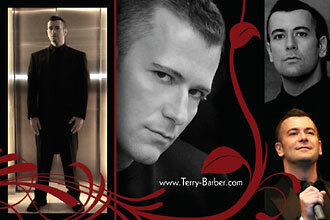 Terry Barber will also participate in a series of short musicals to be filmed in New York City. At home in various styles, Mr. Barber was recognized by three-time Grammy Award winners, Chanticleer. In 1998 he completed a year-long tour with Chanticleer, where he performed and recorded gospel, jazz, folk music in 12 languages, opera, and classical music ranging from Gregorian chant to contemporary repertoire. He was called by the press …the jewel in Chanticleers crown… when he was the featured soloist on Chanticleer’s Mexican baroque tour. Mr. Barbers recent CD releases include featured solos on Karl Jenkins, Adiemus V, released by EMI as well as Dido and Aeneas for New Trinity Baroque. He has recorded two tracks on the Buddah-Bar chill-out series, Living Theater Vol.2 and 3. Dj Tracy Young’s remix of Terry’s vocal for The World Is A Stage has been listed in the top 10 world-wide by various Djs. Terry Barber is a soloist on Crossing the Stone, released by Sony Classical and featured as classical album of the week in the United Kingdom. Dorian’s release, The Jesuit Operas, includes Mr. Barber in the role of Japan. Terry Barber recorded Reflections with Chanticleer for Warner. He also recorded Jewel’s Chrismas album for Columbia Records. Mr. Barber began private study in the arts at the age of seven, and has been involved in the entertainment industry since that time. He is a graduate of the Northwestern University Musical Theater Program. A role was created with his extreme vocal range in mind for the musical A Robin Hood Tale, by Lawrence Rush and Kathy Phillis. He performed in Hello Dolly at Lincolnshire Theatre of Chicago, and was also a recipient of the Winthrop Bean Theater Award.